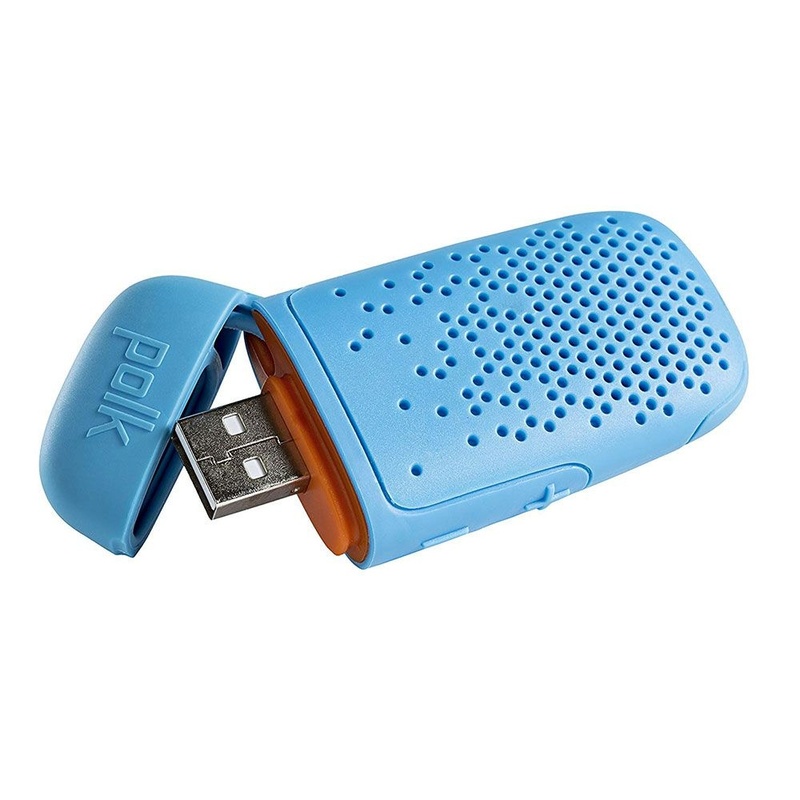 From Polk Audio, The Boom Bit Series Wireless Clip-On Bluetooth Speaker. Blue color design. Model: (BITE-A). - Wireless Micro wearable Bluetooth speaker that clips securely to your clothing, safely balancing your music with your immediate surroundings. - Durable enclosure keeps the tunes on full Blast for any adventure. - Spring steel clip slips securely to any apparel—fasten it to your shirt collar for optimal performance. - Take hands-free calls and Talk safely on any adventure whether on a bike, in the car or wherever the journey leads. - Standard USB with hinged cap for a quick and easy on-the-go charging.